Wentworth Miller’s hand is one of the good ones when one compares it to the hands of other celebrities and successful people It shows a calm and inwardly strong temperament. And it shows a very good heart as well. one cannot find them on Miller’s hand. Which just goes to show that people who try to kill themselves are not necessarily “suicidal” by nature. By this I mean they need not be people who are unstable or chronically depressed. Check out a photo of his hand here. In Miller’s case, it is just the opposite. He is a cool customer. This is not just on the surface. He has inner strength. Miller has a large hand with a large palm and long, slim fingers with a long Apollo (ring) finger, and a thumb which is of a good length, with a strong upper phalange. He has developed Moon and Venus mounts, and a slightly hollow palm. The lines on his hand are well etched and the Heartline is long, and ends in a fork. The Headline is sloping, and is a little weak as well, but the shape of his hand is more important. No doubt that Wentworth Miller’s heartline is better than his headline, and his emotions can get the better of him at times, but this does not mean that he is an emotional out of control person. On the contrary, his hand shows an extraordinary coolness of temperament and mental strength, despite his sensitivity. The only issue is that he is not steady in his thinking; his thinking changes several times in his life. And this is concerning major issues. These changes would affect his emotional health. As it is he is the introspective type. His heightened sensitiveness to the environment will likely affect his emotional state because he would find it difficult to function in a hostile or unpleasant environment. He can be called thin-skinned, if there is such a term. But this does not mean he cannot handle it. He is very determined. Miller's hand shows remarkable business talent, a kind of understanding of what works in the marketplace, and this is more enhanced than the acting talent although he has creative talent. What's more, he is the kind who strives to improve himself. And from what little one can see of Wentworth Miller’s lines, this man is in for some very serious long-term success. This success is likely to stem from his business acumen. He can take risks, calculated, intelligent risks. He is not the materialistic type. He is just very smart. Carefully weighs the pros and cons. Takes time to come to decisions, and finally does exactly what he wants. Or check out the hand readings of other actors from all over the world, or just Hollywood celebs. Someday, I will watch 'Prison break'. Does the hand indicate anything about his acting skills? Prison Break is an action oriented serial. If it is watched from the begining, it is quite interesting. His acting skills as shown on his hand are seen to be average. What is the sign of being a good actor? Specific professions are not seen on the hand. What can be seen is a creative mind set, boldness in the personality, and charisma, and all these are characteristics which help an actor be a good actor. Creativity is one of the signs. If you are talking specifically about Wentworth Miller, he does have acting ability. It is overshadowed by his other abilities. Your polite comments are welcome! And those who use the name "Anonymous" may not get their comments published because it becomes difficult to distinguish between different commentators. You don't have to use your real name but do use some name! Thanks. Hand Analysis on this blog is mostly from the shape of the hands and fingers taken from scores of photos on the web, not palm prints, as lines are not clearly visible in public photos. 30-40 photos are studied for the reading. Email me (email id given above) your requirements and ask for the exact price. The price will depend on what you need. 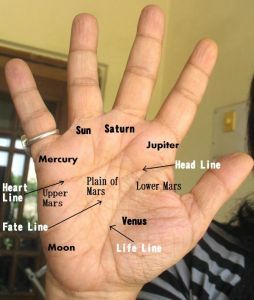 The hand reading will be more detailed than the readings on this blog as it will be of both the hand/finger shape as well as the palmar lines. A complete reading will be 15-20 pages long. You can ask either for a Character Analysis or the second option (Character Analysis Plus) which means that I will accommodate your specific questions, give you life trends and a fingerprint reading (inner nature, soul psychology, life purpose). To purchase a hand reading, click on the PAYPAL BUTTON given below. After you subscribe you will get a link via email. Click on it to confirm your subscription. Thanks. Comments which are impolite, unsubstantiated (including palmistry superstitions), personal in nature, commercial (spam), and/or irrelevant to the topic will not be published. If you call yourself "Anonymous", your comment may not be published. Only links to hand photographs are permitted, no other links. And if you are incapable of expressing your viewpoint without insults, rude remarks, or name-calling, you automatically fall into the category of an internet troll and will be treated with the contempt you deserve. Please don't bother to comment because your comment will not be published. Only links to hand photographs are permitted, no other links. Also, don't bother to tell me not to analyse someone's hands because the person is "holy" or because you "know" he or she is not like that! These readings are based on my hand-reading experience so if you have a palmistry argument please go ahead and discuss! If you are against palmistry, what in the world are you doing here? Go figure! Nothing is fated to happen. When the doctor tells us that we will probably get sick if we continue a certain way of life, we don't get scared. We try and change our lifestyle, don't we. We believe that we can improve our health. And we can. Our future is not fixed. Our life is in our hands. Just like a doctor, a hand-reader too provides a diagnosis, and gives you some tips on how to improve your life. The truth is that your character is your destiny. If you change, your lines can change and with it your future. And just as no doctor can predict a heart attack or the end of your life, similarly a palmist cannot foretell future events with absolute certainty. More about this is explained in a post on the blog. Only excerpts of a few lines from this blog may be taken for your use, and this has to be attributed with a link back to this blog. Thanks. Hand Readings of Famous People by Nita Jatar Kulkarni is licensed under a Creative Commons Attribution-Noncommercial-No Derivative Works 2.5 India License.